Harry Abend arrived in Venezuela in 1948, and at the end of the 1950s he attended the Escuela de Arquitectura of the Universidad Central de Venezuela and participated in the visual arts workshop directed by Miguel Arroyo. His first solo exhibition (Museo de Bellas Artes, Caracas, 1962) included fused bronze pieces of polished surfaces and wooden sculptures. The works from one of his first series, Formas, earned him the Premio Nacional de Escultura (1963). Abend participated in the Taller de Quebrada Honda, organized on the occasion of British sculptor Kenneth Armitage’s visit, and the works produced during the workshop were shown at the exhibition Kenneth Armitage and Eight Venezuelan Sculptors (Museo de Bellas Artes, 1964). By that time, he had abandoned polished surfaces and made, for his second solo exhibition (Museo de Bellas Artes, 1965), bronze reliefs of abrupt geometric volumes and works influenced by informalismo, in which his interest in the medium prevailed. After this phase, Abend adhered to geometric constructivism, through which he developed reliefs integrated with architecture, as seen in several buildings in Caracas, including the Sinagoga de la Unión Israelita (1969), the Hotel Caracas Hilton (today Hotel Alba, 1973), the Sala Plenaria de Parque Central (1974), the Sinagoga de la Asociación Beth-El (1974-1975), and the Teatro Teresa Carreño (1980-1982). A selection of similar works, of smaller scale and made out of concrete, was displayed at the Sala Mendoza (Caracas, 1973). Between 1976 and 1982, Abend resided in London. Wood become his favored medium. 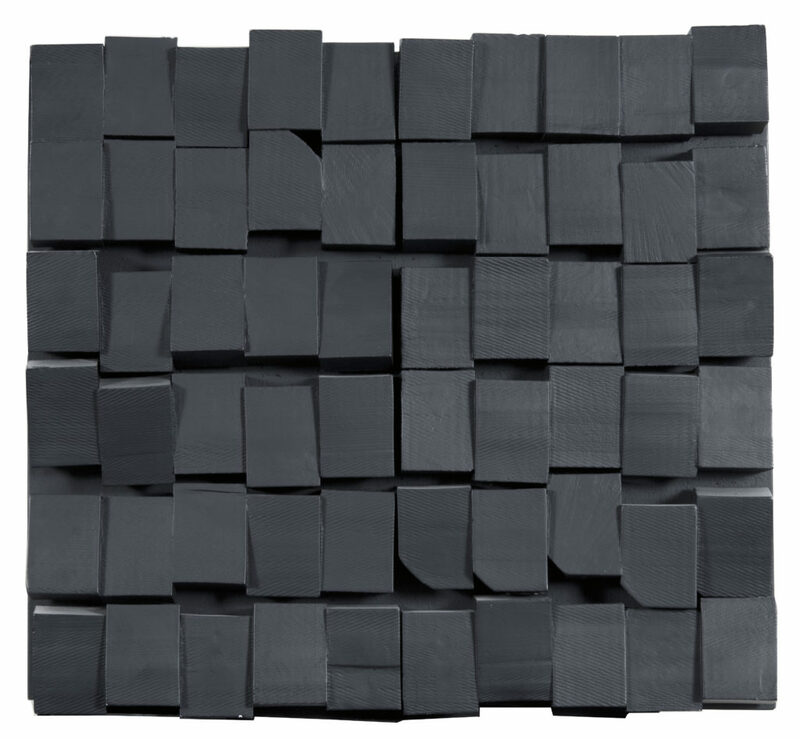 He created different types of constructive-geometric assemblages, some by means of thick strips whose structural severity contrasted with their irregular reliefs, others combining small pieces arrayed in a rigorous and, at the same time, delicate order, and presented them in the exhibition Puertas, ventanas y relieves at the Sala Mendoza (1980). After returning to Venezuela in the mid 1980s, Abend’s work took on an organic character. At the outset, anthropomorphic and zoomorphic forms were suggested through wood pieces. Soon thereafter, the medium of wood and sculpting, as process, become the dynamic elements of his work. His large pieces looked like totems constructed of ovoid volumes with clear textures and placed on columns or beams that created a the appearance of a megalith. These works were shown for the first time in the Museo de Bellas Artes (1989). In later pieces, Abend used wood from trunks of trees that had been cut to make space for urban expansion. He cut these in cylindrical sections. He also recovered the trees’ bark. These works, gathered in sculpture sets, were displayed at the Galería de Arte Nacional (Caracas, 1992) and the Sala Mendoza (1995). He also produced is a series of conceptual works in which he placed leftover shavings of his woodwork in boxes, giving birth to a sort of “esculturas en negativo” (sculptures in negative). Harry Abend lives and works in Caracas. Obras recientes, 1988-89, Museo de Bellas Artes, Caracas, Venezuela, 19895 piezas.